Producer Rey Jimenez talks about bringing value to the remaster. 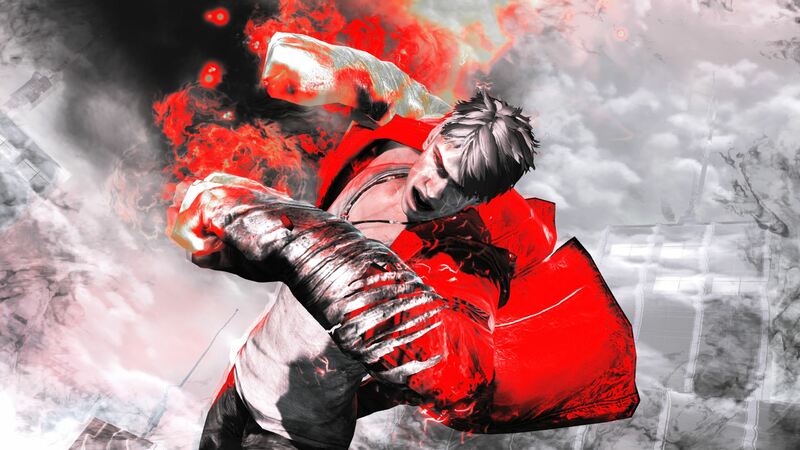 It’s not odd that Capcom would decide to re-release DmC: Devil May Cry in a remastered format for the Xbox One and PS4. After all, every studio from Deep Silver to Square Enix has been doing the same with their games. However, DmC: Definitive Edition is at least a departure in the sense that Capcom is bringing a ton of new content to the remaster while also updating the visuals in the process. There are still some lingering issues including the fact that the game is running at 60 frames per second but won’t be locked at the same and how much overall value it will present to previous gen owners. Nonetheless, we’re significantly more excited for this remaster than most others in recent memory. Producer Rey Jimenez spoke to GamingBolt about DmC: Definitive Edition including why Capcom chose to remaster a two-year old game, changes made to Unreal Engine 3 to accommodate the 64-bit architecture of the PS4 and Xbox One, and how many similarities it bears to the PC version. "We’re releasing a high quality game from last gen on current consoles, while leveraging more powerful hardware for a better experience and adding more content to bring value not just to new customers, but also to existing fans who may want to revisit the game on new hardware. Rashid Sayed: The reboot was honestly fantastic with great level design and combat mechanics. How does it feel to deliver a fantastic product despite the initial backlash and negative reactions? Rey Jimenez: The final product was really a vindication of the decisions the dev team made and all the hard work they put in. While by no means perfect, the game had buy-in from the team and they really believed in and were behind the game that they were working on. Because of that, the team was always confident in the quality of the final game. Rashid Sayed: Let us get the tough question out of the way. Instead of a new entry in the series, why go for a remastering a 2 year old title? Rey Jimenez: When determining a title to “remaster”, there are two ways of going about this. One is picking a game/IP that hasn’t been seen on a console in a long time, thereby having the largest delta in “improved” content from the original to the new release. Having worked on DuckTales Remastered, I can attest that there are a lot of positives to this type of remastered game. The other route is selecting a title based on its overall quality and what we can add to the title to make it a real value to gamers. Think of it as when a console game is released on PC, especially last gen. It really isn’t considered remastering the game. It’s a new console release, which really is what the Definitive Edition here is. We’re releasing a high quality game from last gen on current consoles, while leveraging more powerful hardware for a better experience and adding more content to bring value not just to new customers, but also to existing fans who may want to revisit the game on new hardware. I think that may be the most corporate sounding line I’ve ever said, but it’s something we really believe. Rashid Sayed: In the past a lot of developers have promised that their remasters will run at locked 60 frames per second but it turns out that the game was not locked to 60. 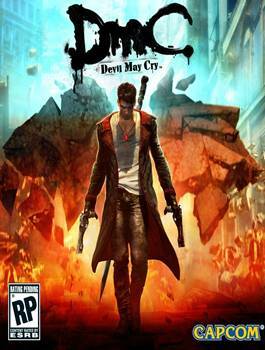 Is this the case with DmC Devil May Cry: Definitive Edition as well? Rey Jimenez: We are not claiming that the game is going to run locked at 60fps. That being said, I can attest that the game runs ­­very reliably at 60fps. After personally playing the game all the way through all through development, I can honestly say that the times the title drops frames are so rare that I barely notice it ever happening at all. The technical team at QLOC did a fantastic job of hitting our performance goals and hit them much earlier than I anticipated. Rashid Sayed: What kind of updates have you made to the game’s engine to support the new versions? Rey Jimenez: I’m not super technical so there’s not too much detail I have in this area. I can tell you that there was a bit of work that had to be done to Unreal 3 to make it run in a 64-bit environment and on the current gen of consoles, both of which it was not developed to do. "More weapons, with different strengths and weaknesses, means more choice for the player. In the context of a vast open-world game, this is equivalent of providing the player with the means to find and enjoy her or his style -- from total offense to complete stealth, from ranged attacks to close combat, and anything in between. Rashid Sayed: I am sure you must be aware that Rockstar released a remastered version of GTA 5 last year but it was not a mere port. They added new content, thousands of new animations and improvements. 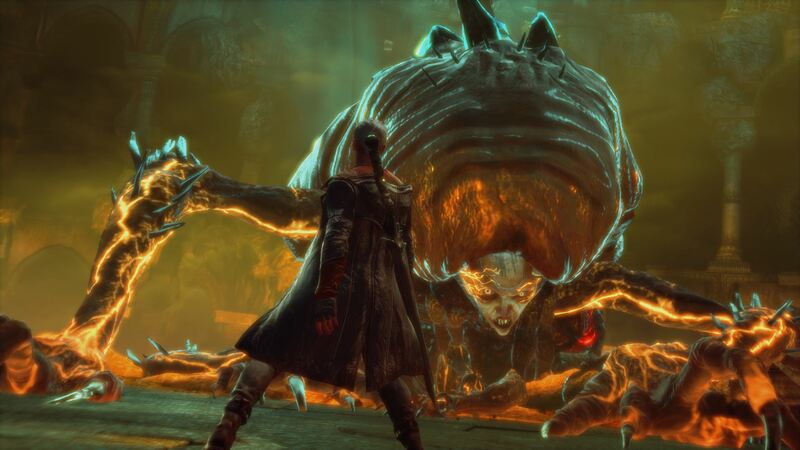 So having said that, are there any kind of improvements besides the visual upgrade in DmC? Rey Jimenez: Big fan of GTA V and I did double dip on that one I have to admit. DmC is really about the challenge to the player, playing stylishly and what we can do to augment that. That being said, we put a lot of effort into tweaking and rebalancing the combat with additional difficulties and gameplay modifiers to achieve this goal. The game is also shipping with all of the original DLC from the previous gen game, including Vergil’s Downfall, which is a whole story mode where you play as the game’s iconic character Vergil. In addition, we’re adding a new mode for Vergil called Vergil’s Bloody Palace. It’s a 60 level survival mode for Vergil new to the Definitive Edition of the game. While I won’t say we’re able to add as much content by sheer volume that Rockstar was able to, I think with the content that we are able to add and at a lower price point of $39.99, DmC Devil May Cry: Definitive Edition will be a great value for PS4 and Xbox One action game fans. Rashid Sayed: Is the Definitive Edition based off the PC build of the game? Rey Jimenez: Yes, in more ways than one too. The visual and audio assets were higher resolution than what was able to be released for the PS3/360 version. For Definitive Edition, we are able to utilize that higher fidelity art and audio. We’ve also based some of the tweaks/balancing that we did to the game based on what the PC community did on the PC release of DmC. The PC community if a fantastic way to receive feedback and seeing what they did to mod the game was a great way to decide what to put into Definitive Edition. Rashid Sayed: I have to ask this question.What can fans expect in terms of a new Devil May Cry? Do you think you will still like to continue the origin story or make a direct sequel to Devil May Cry 4? If you can’t answer this what can you tell us about the future of the franchise? Is it looking strong? Rey Jimenez: Well, there’s nothing concerning a new Devil May Cry game that I can talk about, but I will say that the upcoming March 10 release of DmC Devil May Cry: Definitive Edition and later Summer 2015 release of Devil May Cry 4 Special Edition shows that Capcom still loves the Devil May Cry franchise. I’m personally hoping for awesome news in the future for Devil May Cry as well. Rashid Sayed: Is there anything else you want to tell our readers about the game? Rey Jimenez: For those revisiting DmC and those new to the series, the team and I hope you really enjoy the hard work that was put into Definitive Edition. We really love the game and hope you do, too.